13.9 miles, 4:21 hours, downhill. Day 13 of the walk. 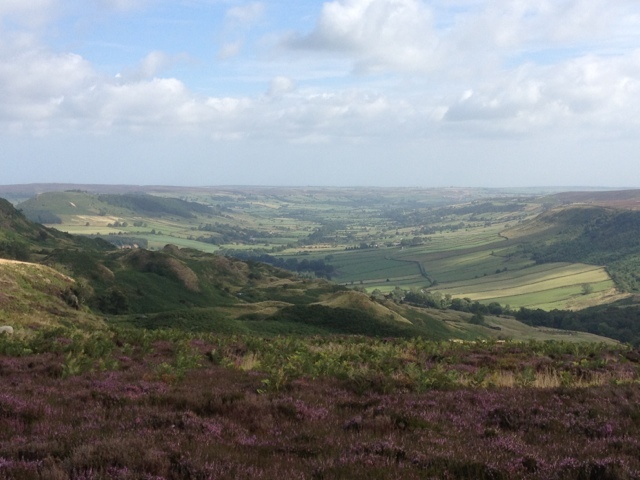 Blakey Ridge to Grosmont. 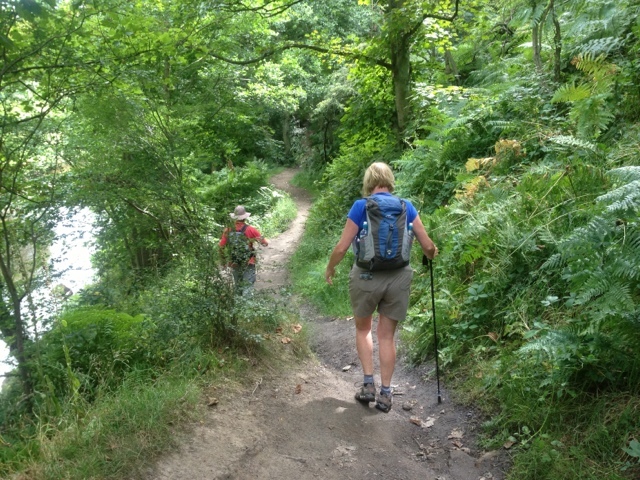 14 miles of easy walking across moors, downhill almost all of the way. Another day of fine walking weather - we have been so lucky. Only one more day to go! A view of Great Fryup Dale. 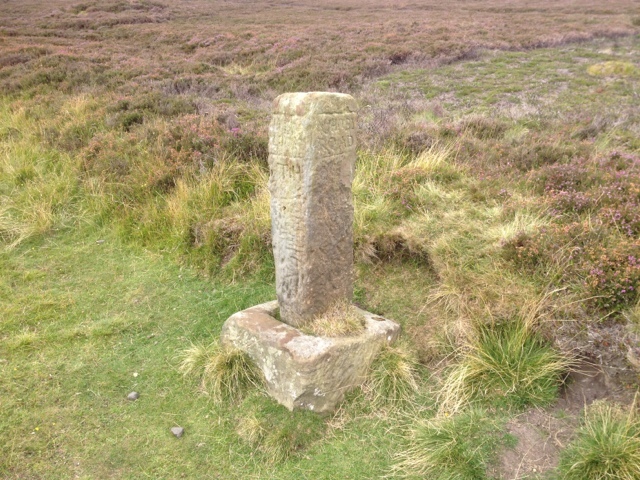 Boundary stone - we saw a large number of these marking our way. 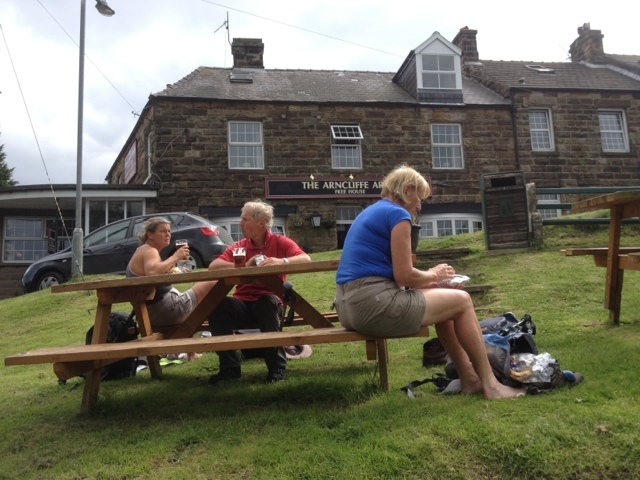 A gentle descent to lunch at the Arncliffe Arms in Glaisdale. 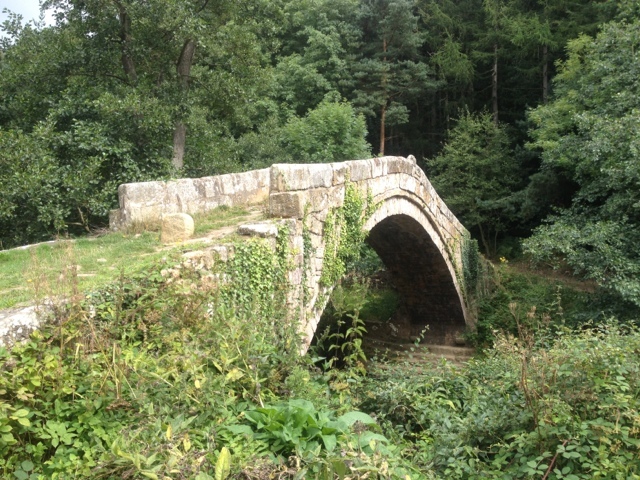 Beggars bridge in Glaisdale (Google for the full story). East Arncliff Wood - lovely deciduous walking. 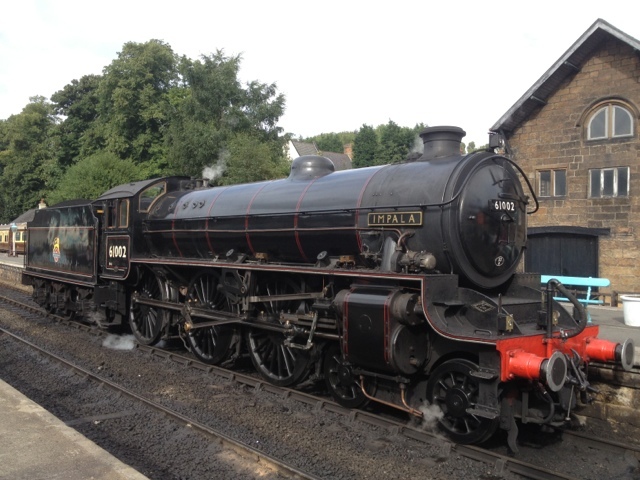 After a shower at the Lisvane B&B we went down to look at the North Yorkshire Moors Railway. Usual beer and pub grub where else but the Station Tavern.